"Pathbreaking. Beyond solutions." 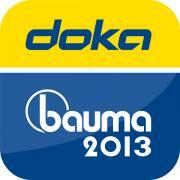 is Doka's brand message for the bauma 2013. 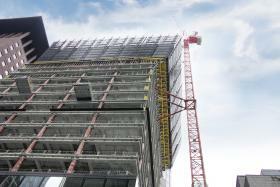 “What Doka has to offer goes far beyond mere products. We work closely with our customers to devise individualised solutions for every construction project. Our value proposition is that when we develop the formwork concept, we incorporate aspects and experience that give our customers new insights and create genuine added value for them”, explains Doka Group Chairman Josef Kurzmann. The Doka-yellow hall is sited at its customary location at the Open-Air Area North (N817) of the New Munich Trade Fair Centre and its doors will be open from April 15 to 21, 2013. Visitors to the construction industry's biggest international trade exhibition will have an ideal opportunity to explore the fascinating world of formwork engineering. Over a total area of 3600 m², innovations and highlights from the comprehensive portfolio covering all construction sectors are grouped by the four theme worlds of Transport, Highrise, Residential and Energy. 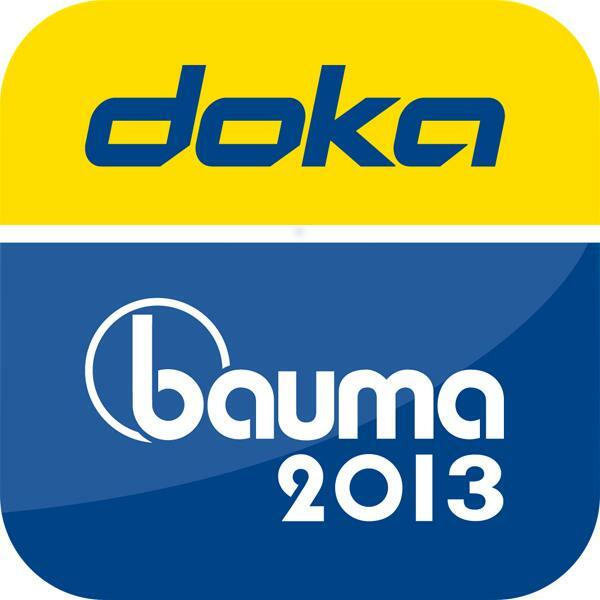 As of now, the online portal to the virtual Doka world at bauma 2013 is also live. All the latest information about this expo of superlative magnitude is available, complete with all the updates, at www.doka.com/bauma. The Doka baumaApp for iOS and Android has been developed specifically to provide the ultimate guide to and at the biggest and best trade event and is ready and waiting at www.doka.com/bauma. Countdown, digital compass and distance-to-Doka ticker give users the all-important at-a-glance overview of all the developments. App updates in the months leading up to bauma 2013 put all the trade-fair breaking news right on your smartphone. Visitors to the trade fair can call up additional information and documents about the exhibits. And as an app-plus, users have the chance of winning an iPad mini. Thank you for your interest - Pathbreaking. Beyond solutions.. Thank you very much for your interest - Pathbreaking. Beyond solutions..